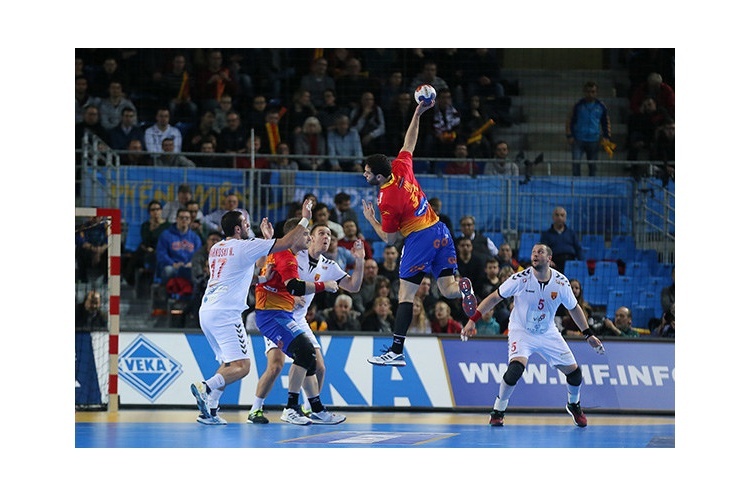 Spain went top of Group B in the Men’s Handball World Championships with a 29-25 win over Macedonia. It took Spain until 10 minutes into the second half to break Macedonia’s resistance, Valero Rivera and Alex Dujshebaev finding the back of the net. Slovenia, like Spain, has also qualified from Group B, with Macedonia, Tunisia and Iceland all battling for the other two spots. In Group C Germany beat Belarus 31-25 to head the standings. After a first-half stalemate a triple strike from Patrick Groetzki marked the moment that Germany began to pull away. Croatia will join Germany in the next stage following a 37-22 victory over Chile. Croatia were always in control. Lovro Mihic found the back of the net eight times to top score for Croatia. The other Group C match saw Hungary overcome Saudi Arabia 37-24. Hungary stormed into a 7-1 lead against an injury-hit Saudi Arabia and never looked back. The win puts Hungary in the box seat for one of the other two qualification spots from Group C, but both Belarus and Chile could qualify as well. Denmark beat Bahrain 30-26 to head Group D. Bahrain were very much in touch until the last 15 minutes, Denmark owing a lot to keeper Niklas Landin as they kept their 100% record. Egypt sit in second spot on goal difference ahead of Sweden following a 31-20 victory against Argentina. Federico Vieyra bagged 12 goals for Argentina, but it wasn’t enough. Egypt led by just three goals at the break. However, 15 minutes after half time saw them extend their advantage to six goals, setting them up for the win. Sweden beat Qatar 36-25. Sweden were on top from the start, helped in no small part by a commanding display from keeper Mikael Appelgren. The result sees Sweden book their place in the next stage. Qatar, despite the defeat, will also progress, with Bahrain and Argentina unable to catch them with one round of group matches left.